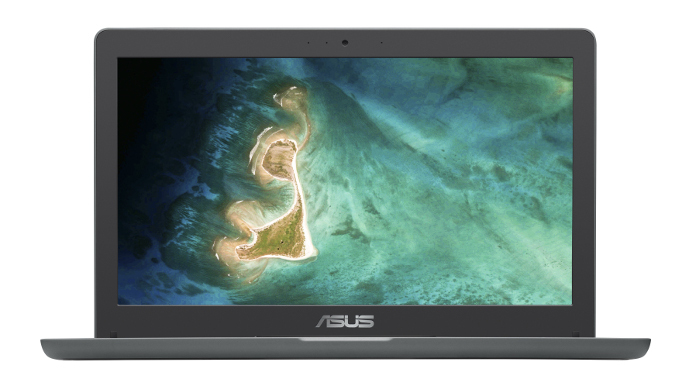 Asus announced four new education-focused Chromebooks. The four Chromebooks include the CT100, Asus’ first Chrome OS-powered tablet. Asus will announce pricing and specific launch dates in the coming months. With CES 2019 right around the corner, Asus unveiled four new rugged Chromebooks which include the company’s first Chrome OS-powered tablet. Starting with the tablet, the CT100 features a 9.7-inch display with QXGA resolution (2,048 x 1,536), a USB Type-C port, the hexa-core OP1 processor, 4GB of RAM, 32GB of storage, and a 35Wh battery. As a nice bonus, the tablet features a built-in stylus to use on the display. Despite Apple’s well-publicized attempts to be the top dog in school computers, Google has made quick headway in overtaking the tech giant. In just a few years, it’s become the face of school computers. The tablet also features a 2MP selfie camera and 5MP rear camera. Finally, the CT100’s rugged build helps it withstand drops up to 100 centimeters (~39 inches). Moving to the Chromebook C204, the laptop features a 180-degree hinge to lay it flat, an 11.6-inch display with HD resolution (1,366 x 768), Intel’s dual-core Celeron N4000 processor, up to 8GB of RAM, up to 32GB of storage, and a 50Wh battery. Again, the C204’s rugged build helps it survive falls up to 120 centimeters (~47 inches) when dropped flat and up to 80 centimeters (~31 inches) when dropped on its sides. Finally, schools can outfit the C204 with either a non-touch or touchscreen anti-glare display. Next up is the Chromebook C214, which features a few differences relative to the C204. The 360-degree hinge turns the C214 into a hefty 2.6-pound tablet, though the smaller 45Wh battery cuts down the runtime a bit. Schools can outfit the C214 with either the Intel Celeron N4000 or N4100 processor. Schools can also configure the C214 with an 11.6-inch display that supports Wacom EMR and Gorilla Glass 3. The resolution remains the same as the display on the C204. Finally, the C214 goes up to 64GB of storage and puts the outward-facing camera on the bottom-right corner of the palm rest area. Last up is the Chromebook C403, which sports a 180-degree hinge, 14-inch display with HD resolution (1,366 x 768), Intel’s dual-core Celeron N3350 processor, up to 4GB of RAM, up to 32GB of storage, and a 45Wh battery that should deliver up to 11 hours of use. The C403 also features two USB Type-C ports and two regular USB ports. The C214 and C403 will launch sometime during the spring. The C204 goes on sale “later this year,” while Asus remained quiet on the CT100’s availability. We might learn more about pricing and availability during CES 2019.